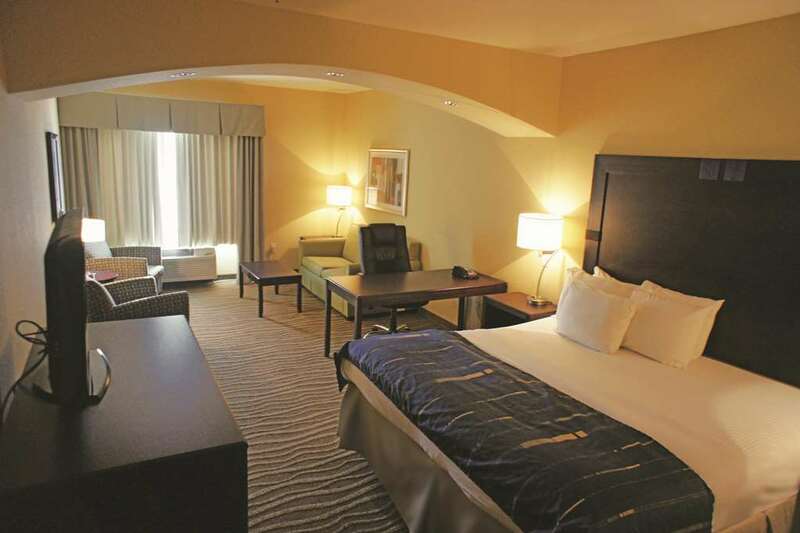 The La Quinta Inn & Suites Hammond is located in the heart of the medical district. We're also located very near numerous restaurants and great shopping. The antique shopping district of Ponchatoula, the Boutique shopping of downtown Hammond, LA, and a multi-screen movie theatre are within a 5 minute drive. Our guest rooms will treat you to many of the comforts of home. Luxurious bedding and modern decor are complimented with upgraded amenities such as microwave, refrigerator, 32 inch flat screen TV w/premium cable channels, Keurig coffee maker, free wireless Internet access, free local calls, and much more. Start your day off right with our Free Bright Side BreakfastTM that features a "Make Your Own Waffle" station as well as fresh coffee, tea, assorted juices, breakfast breads, hot and cold cereal, hard boiled eggs, scrambled eggs, sausage, and fresh fruit. Our hotel features a state-of-the-art workout room, a serenity room, a business center open 24/7, meeting facilities, and guest laundry, and your pets are always welcome. The La Quinta Inn & Suites Hammond prides itself on our great service and warm, Southern hospitality. Guests are treated with the utmost personal attention. Make the La Quinta Inn and Suites your home away from home in Hammond, Louisiana.